Because teaching handwriting is no longer required in most schools, it is becoming a lost art, and sadly this goes for both print and cursive. In today’s technologically advanced society, people aren’t even required to write anymore. They can text, email, message, or talk instead of writing. Therefore, it shouldn’t be all that surprising that handwriting in both forms has become all but obsolete. Did you know that teaching handwriting is no longer required in schools? When I was teaching 3rd grade in the public school system, I was honestly thrilled with this fact. BUT, before you throw stones at me, just hear me out. You see, every year more expectations are placed on our kiddos at earlier ages, and this puts a major time crunch on teachers. So, many school have simply opted out of requiring teachers to be teaching handwriting. However, even though it wasn’t required, I would spend several weeks at the end of each school year teaching my students how to write cursive. Unfortunately, not all teachers feel this way, and recently I was made painfully aware of this fact. At my church, I teach the Kindergarten-Second Grade Sunday School Class. I watched as my littles wrote their names. Many of them started the letter “S” at the bottom, the lowercase letter “d” at the top, and the letter “r” at the tip. It just surprised me to see how inappropriately they were forming their letters. That’s when I realized two things. This skill needs to be taught explicitly. It needs to be taught now! See, you can’t just give your kiddos a sheet of paper, tell them to write, and expect them to do it correctly. You might get an end result that looks similar to the original, but as they begin writing faster, you will notice more and more discrepancies. So, save yourself a lot of heartache and eyestrain, by simply teaching handwriting. And, plan on starting sooner rather than later. Teaching your kids how to hold their pencils properly and how to make each letter correctly through tracing is essential to mastery. And here’s the part you don’t want to forget…watch them practice these letters. You need to make sure they’re starting and finishing the letters in the right place. 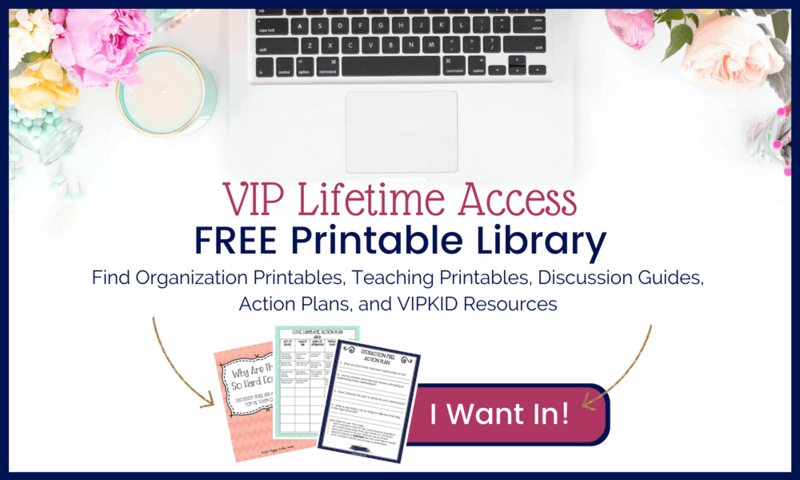 You might be thinking that this seems nit-picky, but I promise it’s going to be the cornerstone to a lifelong skill for your child…unless he/she is a doctor. Then, all bets are off. Modeling is hands-down the most effective way to teach any skill. So, it stands to reason that watching you make the letters over and over is the first step. After they have shown mastery, make sure you give them ample time to practice by tracing letters. However, you need to make sure you’re watching their form and correcting any mistakes. As with anything, practice makes better…not perfect. But, you want to make certain that your child is doing it right. Unfortunately, not learning how to do this properly from the beginning will result in bad habits and poor handwriting. And we both know that once something becomes a habit…it’s extremely hard to break. Starting with individual letters is necessary for the correct form. They need to practice the letters quite a bit to solidify the muscle memory you want them to gain. Only after you have seen them consistently forming letters do you need to let them move on to words. As with any skill, a solid foundation is essential to eventual mastery. So, you need to provide your kiddos with a variety of ways to practice so that they don’t get frustrated and learn to hate handwriting. The first step in proper technique is using tracing sheets. This is essential because your kids will gain the muscle memory required to consistently create the letters through this practice. It’s important to find quality tracing sheets the require practice of letters as you want your child to make them. Because I believe in the importance of practicing this skill, I created two different sets of handwriting practice bundles. The Alphabet Handwriting Bundle is designed to teach the alphabet and print concepts while The Cursive Handwriting Bundle is designed to teach each letter in cursive form. Both sets teach the uppercase and lowercase letters. Another great way to practice handwriting, both print and cursive, is through copy-work. This can take a variety of forms, but one way I love for my boys to practice writing is with scriptures from the Bible. This helps them with both handwriting and memorization. You can purchase copy-work pages, or you can simply let your kids copy any sentence, paragraph, or passage for free. Remember, some of our kiddos are more reluctant about handwriting…especially boys. So, the best way to overcome this is by letting them copy something of interest or by giving them an opportunity to get hands-on practice. This may seem counterintuitive, but you can actually practice handwriting without paper and pencil. There are a few fun ways to let your kids practice this skill in a much more hands-on way. For this activity, spray a pile of shaving cream on a table, desk, or tray. Make sure the shaving cream pile is at least an inch thick. Have your kids put their pointer finger in the middle of the pile and push down to the surface of the table. This will be the starting point of the letter. When they have formed the entire letter, simply have them wipe the shaving cream right back into place and repeat! This is another fun activity that will make you happy even if you hate messy projects! Take hair gel or some other “slimy” substance and fill a Ziploc bag about halfway with it. Add food coloring or glitter to make it really epic. Then ZIP the baggie up!!! (This is very important or the messiness of the shaving cream activity will seem like nothing!) Lay it down flat on a table, and make sure the liquid inside has moved into all of the empty space. Then have your child push down with his pointer finger to the surface of the table and practice writing the letters in the slime. One suggestion to help with cleanliness is duct taping the zipper at the top. This will ensure that the slime doesn’t escape! Then whenever you’re finished with the activity, just throw the whole bag away. Easy as pie! 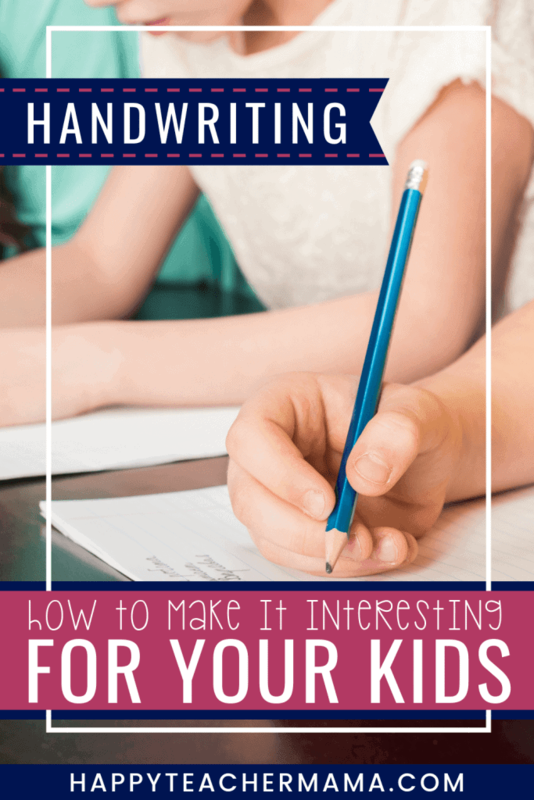 So, now that you have some simple and fun ways to help you with teaching handwriting, I’ll let you get to it. If you have any other suggestions, just leave a comment below and share your best handwriting tip! « Distractions: Are They Keeping You From the Most Important Things?